In 2004 DJ Val Kolton started V-MODA which is a company that specializes in producing high-quality headphones. The company has been the top priority for professional DJs when it comes to buying personal gear for gigs and studio recording. 2006 marked the time that the company started production for the mass market. The company is fairly new to the mass market when it is weighed against the more established companies but it has shown rapid growth and has developed brand recognition and has been able to generate a loyal consumer market. Innovation is the thing which sets V-MODA apart from the competition as V-MODA believes that the customer is at the core of the product and all our products are designed to enhance the music experience of its customers. 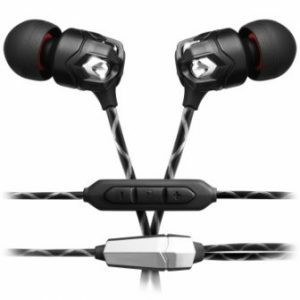 The V-MODA Zn in ear headphones are an amalgamation of innovation. 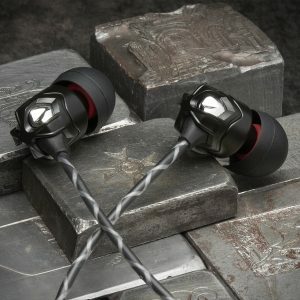 They are the first in- ear released by the company in 4 years. The earphones are designed not only to provide quality but also to last for ages. There are two variants of the earphone one is the one button and the other is the three buttons. The three button earphones aid in taking control of the complete music experience with the volume buttons and the pause and the play button. The earphones have ear cushions which make the earphones not only a best fit for all ear types but also aids in providing comfort. The connecting wires are tangle free so the earphones are ready at all times for plug and play. Diamond back cable aids in durability and also makes them stand out from the crowd. The wire has been made with precision and care which makes it twenty times stronger than the industrial standard. Three button microphone is especially designed for calls and is compatible with Siri. Zinc metal alloy housing makes the ear phones shock proof and makes it suitable for people from all walks of life. Flex support ear hooks ensure that the ear phones never fall off and are a best fit for all. The innovative 8mm driver aids in providing tonal accuracy and helps to create the best music experience. The earphones have been tuned to cater to the human hearing variance which makes them the safest earphones in the market. The earphones have such functionality that they ensure that not a single beat is missed by the person. They aid in creating a full musical experience which is a balance of the bass and treble of the music. Performance has been fine tuned to ensure that there is no damage done to the ears as the customer is the center of the development of the product. Noise cancelling feature also makes them the best in the market. So if quality and durability is your top priority then V-MODA is the best match. The tangle free cord makes it a time saver for many as the consumer is freed from the hassle. There are various ear cushions (patented BLISS 3.0) added in the box which makes them the best fit for all. The materials that have been used in the production are not only safe but also make them durable and reliable,for instance the Kevlar-reinforced cable provides unmatched strength. The headphones have been tested beyond Military-Level Quality (MIL-STD-105 test standards). Furthermore the A 45 degree, 24K gold plated plugs can bend over 60k times (way above industry standards). A 3 button control system which is compatible with various Apple devices to give you easy control and assess of your device. The accessories in the box include, the ear cushions and the different attachments. They make the product customizable and a best fit for all. The safety measures that have been taken to ensure protection of the hearing ability aids in providing a safe and memorable music experience. The case which has been included in the box aids in the protection of the product. 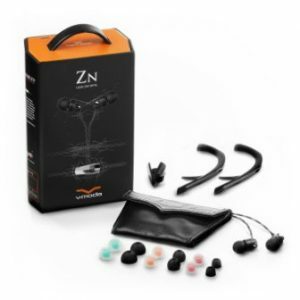 The only downside is the price which is not a major issue considering the fact that the earphones have been built to last, so if you plan to make a reliable long term investment then these are the top choice. After weighing in all the pros and cons it is clear that the earphones are indeed a solid investment for those that seek long term solutions to their needs. Your music experience will change with these V-MODA headphones, you will experience sound like never before.